According to the lunar calendar, the harvest season begins when the Sun moves from the Tropic of Capricorn to the Tropic of Cancer mid-January. This is known as Makar Sankranti, which is also a major harvest festival celebrated in various parts of India and one of the few Hindu festivals happening on a fixed date, which is January 14th (a day before or after on leap years). It is a time of celebration marking the day when the Sun (Lord Surya in the Hindu traditions) starts entering the Northern Hemisphere to regain its full power, and the slumbering Laws of Nature wake up to remain lively for the next six months. 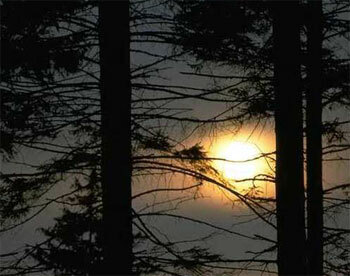 This day is referenced in different stories filled with symbolism in many regions of India, but a core idea permeates them all: it marks the beginning of light overcoming darkness. The Sun symbolizes and carries the energy of awareness, knowledge, and spiritual wisdom. So Makar Sankranti reflects our ability to turn away from the darkness of our delusions and allow the light within to shine brighter. It is a reminder to move toward more light as the year progresses and our life evolves. Since this year is one of clearing and shedding old stuff, the Sun’s energy supports your commitment to make way for the new and prepare for a rebirth. We aligned with the Central Sun of our galaxy during the Winter Solstice of 2012, and more light and raw power have been available to everyone since. But by the same token, as more light gets projected on and around us, our shadows become more obvious. You may be experiencing these shadows as something heavy, dense, and scary bringing you down or holding you back. This is because the contrast between light and dark has increased, so darkness feels denser and light seems, well, lighter. Raw power can be disruptive if it turns into anger or rebelliousness (or the desire to control life) rather than being harnessed, polished, and channeled toward the accomplishment of your goals through discipline and patience. It’s similar to the process of turning raw gold into a piece of jewelry; just liquefied it can burn you to the bone, but once it’s shaped, set, and burnished, it becomes both beautiful and valuable. Strengthening your sense of self, which is what we call self-growth, can’t come from some magic pill handed to you. Simply thinking positively or resonating with your desires or good feelings isn’t going to cut it either. Why? Because an emotional effort is required to bring change and clear the resistance that any transformation triggers, so you become a channel of light and love—the real you underneath your fears and attachments. In other words, you must be committed to healing past wounds, letting go of outdated beliefs and the distorted self-perception they reinforce, and taking conscious action to create new, positive experiences to replace old impressions and judgments—your shadows. Ask yourself, how much of what you read (and likely repeat on social media) about spiritual growth actually comes from personal experience, and how much is just a new language you’ve been acquiring? The ego-mind is a trickster that uses your own thoughts and words to give you the illusion of change while keeping you in the same emotional place. For instance, buying an exercise machine to lose weight isn’t going to change anything if you don’t put the effort to exercise. But do know how many people have treadmills and other equipment just sitting in their basement? Their ego-mind makes them believe they’re doing something to lose weight because they bought a machine! Something similar happens with your habits of thought and perception. Your mind creates the illusion that because you talk about transformation you are going through one, but life often makes you realize you are stuck in the same place; you’re just more aware of where you are because the new language you’re learning doesn’t match your reality. And if you’re not moving forward, stretching your comfort zone further and further while bearing the discomfort it entails, chances are you’re sliding back (or gaining weight in my analogy above). You have to let go of the wounded child archetype and the illusion that someone else is going to take care of the things you don’t want to deal with. It’s also time to drop your mothering tendencies and stop carrying the responsibilities of others, to take care of yourself and redesign your experiences. You can’t promote equality, tolerance, and creative cooperation in the world if you maintain codependent dynamics in your own life. Clarity and wisdom come from personal experience and insight, so a deeper transformation necessarily requires strong determination, self-discipline, and the emotional honesty and effort to own the good, the bad, and the ugly in you—everything and anything that makes you who you are. 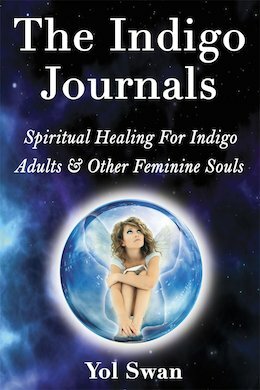 To help you with this process, I encourage you to read The Indigo Journals: Spiritual Healing For Indigo Adults & Other Feminine Souls. 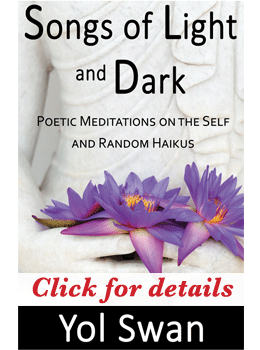 You don’t need to be Indigo to benefit from the spiritual healing insights and tools provided in the book. Plus, you may be an Indigo adult or feminine soul without even knowing it! Click to learn more at: TheIndigoJournals.com. And of course, if you are ready to make the leap with the personalized guidance and support of my spiritual counseling and coaching, contact me today to start mastering your emotional terrain, feeling more centered and self-empowered, and hit the ground running this year toward a joyful and fulfilling, soul-guided life!